DISC profiles and personality assessments that are POSITIVE! Enter your code to view your report. are switching to our positive DISC profiles! 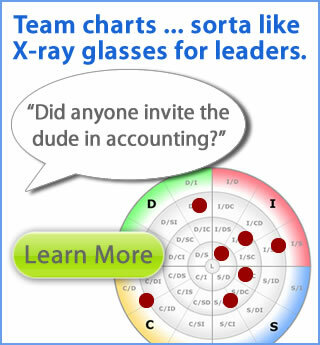 Our free team charting tool allows you to view your entire group by disc personality style. It has never been easier to understand group dynamics! Use this free resource as a way to make your next team building activity more fun and productive. This is a free bonus DISC profile for two people. It is designed to improve teamwork through understanding each person's unique qualities, strengths, environment needs and personality traits. Click here to access this free DISC profile tool now. New to Personality Styles or DISC Personality Traits? Have you ever worked with someone and experienced conflicts or challenges? Looking to improve your results with people? New to the concept of personality styles and "DISC?" We invite you to read the article, "A Powerful Way to Understand People Using the DISC Personality Concept." It will explain the DISC Model of Human Behavior as a simple way to understand yourself and others. It has been said that 85% of success in life is based on your skill with people. This article will help unlock the keys to becoming more productive and successful with others. You may also enjoy our one-page Guide to Effectively Reading People which is a reference chart to help you observe personality traits in others which correspond to DISC (Dominant / Inspiring / Supportive / Cautious) behaviors. Or you can just jump right in and get your own DISC Personality Assessment here. Team charts: provide an at-a-glance view of groups and business teams that work together. 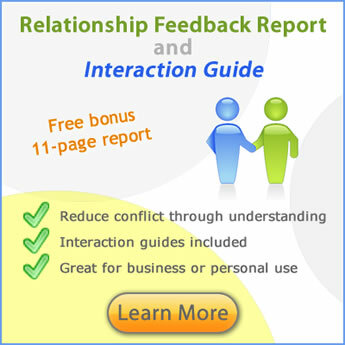 InterACTION Guide (report for two people): bonus report and interaction guide for two people. Use this to reduce conflict and increase understanding. Yes, it's really free with your Discovery Reports! Career Interest Explorer: This free tool helps you to explore careers that are most likely to appeal to you. You can use this if you are looking for a job or thinking about a career change. What job fits your personality? Find out how to be more fulfilled and happy in your work! The Free Course on Better Relationships: This free course helps you to learn about yourself and introduces the DISC personality model. Find out why thousands of people use this free course in many colleges and universities. Are you looking for an alternative to Myers Briggs (MBTI) that is easier to apply and understand? People remember DISC long after they hear about it. DISC can easily be visualized and explained in a circular diagram. DISC is not just for self understanding, it gives you a framework to understand others and adjust how you relate. A 15-minute personality assessment is all it takes to get your very own Discovery Report personality profile. Unlock the mystery behind understanding yourself and learn to connect better with others. Do you wonder what your strengths are? What really motivates you? Why do you get along with some people and experience conflict with others? The Discovery Report for adults is a personality test and report designed to reveal your individual keys to personal and professional success. Your customized personality profile will show you how to be more productive and how to greatly improve your relationships. You will learn a proven system that is easy to understand and simple to apply to your everyday life. Why take months or even years to improve when you can move ahead today! Get direction that is right for you! Do you know a teen or young adult that is looking for career direction or insights into his or her strengths? The Discovery Report for teens is a personality test and report which identifies priorities, decision-making styles and sources of individual motivation. Each personality profile report even includes career help to explore what vocations may best fit his or her personality style and interests. Parents, teachers and students will find affirming and encouraging insights that can be used today and in the future! Encouraging children to be their best! Are you a parent or teacher that is looking for a positive way to encourage or connect with a child? The Discovery Report for children is a personality test and report that provides a fun and interactive way to gain insights into a child's individual style. Children as young as 5 will enjoy going through the assessment that uses engaging pictures and stories based on robot characters (called "BOTS"). A personality profile report is customized to show you the child's strengths and the best way to interact based on his or her unique personality style. 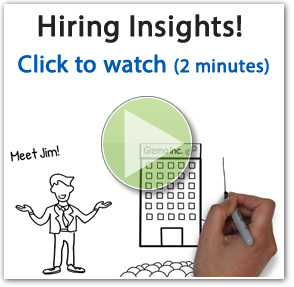 This free bonus report is available for any two people who have Discovery Reports. We emphasize being compatible over compatibility. Any two people can work together and relate with each other - especially if they are willing to accommodate the other person's personality style. This report will show you how! Take advantage of our free Team Composite Chart tool to get an at-a-glance view of your group. Take the mystery out of how you interact together. Great for any group that needs to work together or understand more about each other. World renown personality expert, Dr. Robert A. Rohm, led the development team for DiscoveryReport.com. His goal was to create a practical DISC personality test and custom report that would really connect with people in their everyday life. The result? An amazing, deeply insightful, practical and positive report that has been used by tens of thousands of people to uncover their personality traits! Dr. Robert Rohm believes that DISC is the best personality model to use to help people understand themselves and interact better with others. While the Myers Briggs Type Indicator (MBTI), The Big Five Personality Traits (Five Factor Model), and the Keirsey's Temperaments are excellent models, DISC is our preferred model. The main reason is that it simple to understand while allowing for the combining of traits to form many more personality blends and combinations. There is a reason that DISC is so popular: people understand it and find it useful in everyday life and relationships. Why take months or years to learn how to improve? Get answers today! A Discovery Report is a personalized, easy-to-understand personality report that you will receive after you take a personality test (personality assessment) online. Personality profiles are available for adults, teens and kids! You will be able to use this helpful material at work, home, school or where ever you interact with people! Adults | Teens | Children. What makes a Discovery Report unique from other DISC personality profile reports? You will receive positive, personalized feedback that is encouraging, not critical. You will be encouraged in your strengths. You will better understand the value you have on a team and as an individual. Your report will not label you in a simplistic manner. Many reports on the market give feedback based on only the 4 major personality traits. Discovery Reports go much further by emphasizing your unique BLEND of traits. Our technology is based on 41 specific blends of personality traits. Therefore, you get in-depth feedback while still having the advantage of the easily understood DISC model. You will not be labeled as having particular weaknesses or "blind-spots." No assumptions will be made about areas that you need to grow in. Instead, we identify areas to consider in order to be your best without being critical. This is, perhaps, the most unique aspect of our approach. You will have access to value-added tools online for no extra cost. These tools include, the Free Course on Better Relationships, the Team Charting Tool, Relationship Feedback report, and the Career Interest Explorer. We offer high value in the quality of the feedback given. We know that there is a wide range of prices available for personality reports in the market. Our approach is to offer reports that are both positive and practical, so we have invested heavily into our report processor system. Our content database is very extensive and has required many years to develop. Thus, our focus has not been to have the lowest price products. Our focus has been to offer the best personality reports with the highest value. We are established experts in DISC theory and application. Our content and approach is led by Dr. Robert Rohm who is a human behavior expert and leading authority on DISC theory. Robert Rohm, Ph.D. has authored more than 20 books including Positive Personality Profiles and Who Do You Think You Are Anyway. He is the founder and president of Personality Insights, Inc. as well as The Personality Insights Insititute. A Discovery Report personality profile can help you understand people in 15 MINUTES versus 15 YEARS! You may learn more in 15 minutes by reading your personality profile than some people realize over the course of 15 years of "trail-and-error" in relationships. Your report may hold life-changing insights into who you are and how you can better work with others. How does the "personality test" work? The "personality test" is a short personality profile assessment where there are no wrong answers! You will simply answer 24 multiple-choice questions where you chose groups of words based on how you see yourself. The version for kids has an engaging set of pictures and stories that present children with choices that they can make based on how they see themselves. After you finish the personality profile assessment, our system determines your personality type (we call it your personality blend). We use an extensive database to create your personality profile report. If you have ever wondered "what is my personality?" or "what personality traits do I have," then a Discovery Report will give you the insights that you need. It describes your personality traits using clear language, and you will find tips on how to apply your understanding in your relationships. Do you have a Free DISC Personality Test Online? Yes, we have what we call the Personality Lab. It is a free DISC test online (personality quiz) that gives you a quick indication of your strongest traits. It is intended to be quick free quiz where you can begin to learn about your personality type. Of course, we recommend the full assessment to clearly identify the exact levels of all of your personality traits. Try the free DISC Personality Test. InterACTION Guide- Better than a compatibility test ! Discovery Reports are an incredible value, but we didn't stop there. Many people wanted more help in applying the personality material to specific relationships in their life. Our answer? The InterACTION Guide, an online tool for exploring how you interact with another person. This valued-added bonus is available for any two people who have taken the Discovery Report disc test online. Career Interest Explorer - help when you are asking "What Career is Right for me?" Many people asked us about helping their teenagers think about the future and possible careers. We also had many professionals telling us they wanted a way to know if they were working in a field that suited their personality. We are now proud to introduce the "Career Interest Explorer." This online tool is a fantastic resource for sorting through careers based on personality style and narrowing down a list of careers that fit your personality style. You can even research each career, because we have pulled together the best resources online into one place. 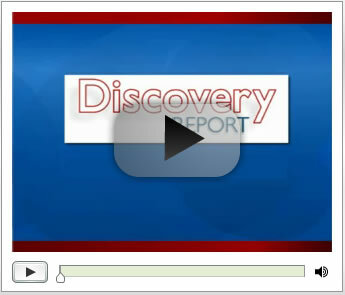 This resource is available to anyone who has a Discovery Report (our DISC online profile). Have a team or group of people that you work with? An essential part of team building is knowing your team members' personality type. Would you like to see everyone's personality at-a-glance? Now you can! The free team charting tool lets you plot everyone on one graph, list all of their personality charts and even print out short reports on each person. This tool is great for business groups, families, students, teachers or whoever interacts in a group context. Free and Fun Personality Quiz - The Personality Lab, a free DISC personality "test"
Try the Personality Lab if you just want to experiment with your personality style. It is fun and informative personality quiz that will give you an idea of your personality traits. If you are looking for a free DISC test online, then this is a great tool to try out. This free course has been used by thousands of people to quickly gain insights on how to have better relationships using the DISC personality model of human behavior. © 2003-2016 DiscoveryReport.com and Personality Insights, Inc.